TRURO, N.S. -- The winners of this year's Music Nova Scotia Awards were announced Sunday night, as the organization handed out 49 awards to musicians and other industry members at the Holiday Inn in Truro. The announcement of the winners, determined by online votes from Music Nova Scotia members, caps the end of Nova Scotia Music Week, which aims to promote artists from around the province. 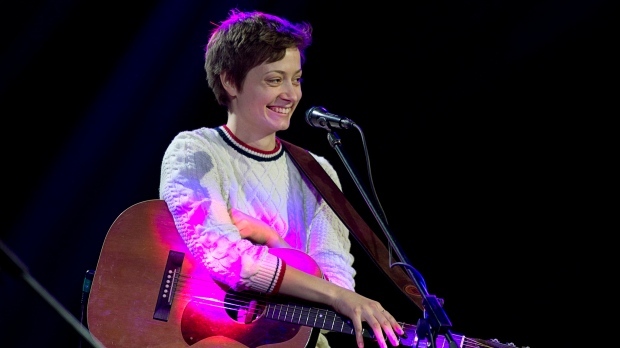 Halifax-based singer-songwriter Mo Kenney nabbed two awards: Solo Recording of the Year and Rock Recording of the Year for her album "The Details." David Myles, originally from New Brunswick but now living in Halifax, picked up Recording of the Year and Americana/Bluegrass Recording of the Year for "Real Love." And Makayla Lynn, a 17-year-old country singer from Elmsdale, N.S., won the Flagship Construction Entertainer of the Year award. The full list of winners can be found on the Music Nova Scotia website.